Find out why data in the same report can change. It is also worth mentioning that this only happens when you analyze a single keyword. 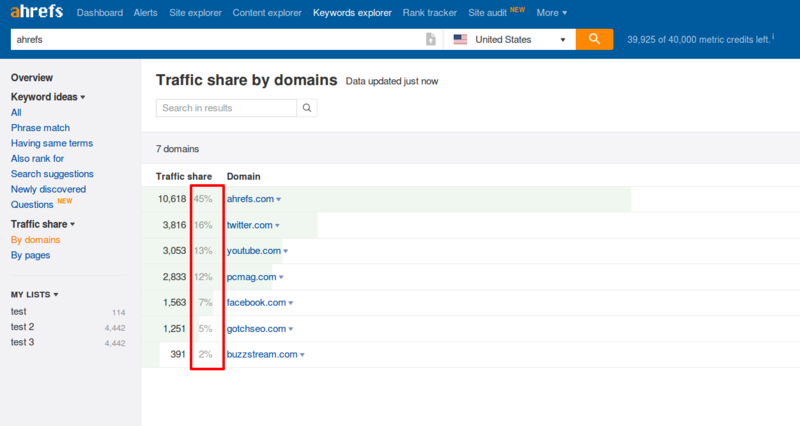 For multiple keywords we are using data from cache, so there should be no changes in Traffic share % and domains listed in the report.